Hang ten, dudes! 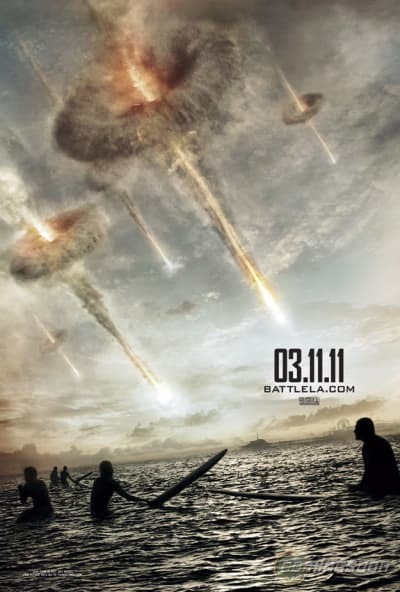 Sony has released a new theatrical poster for Battle: Los Angeles, which features some totally tubular surfer dudes looking up at alien sonic booms in the sky. The film stars Aaron Eckhart and Michelle Rodriguez and is set to open in theaters on March 11, 2011.